Believe it or not, the most lucrative career in Beijing may be nothing but begging, as a beggar's rags-to-riches story has challenged people's sympathies. A beggar disguised as a crippled man on Subway Line 5 in Beijing has swindled millions in easy money from compassionate passengers. Their generosity has enabled the man to buy two flats in the city, a considerable spend considering Beijing's skyrocketing housing prices and high down payments and restrictions on second home purchasing. 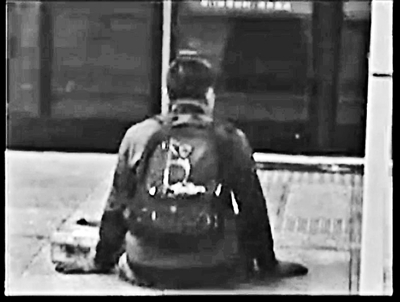 Moving into a subway compartment using his hands, with his legs twisted motionless on the ground, the beggar started his business by begging people to put money in an empty box hanging around his neck. He usually shuttled between Liujiayao Station in Beijing's southern Fengtai District and the southern entrance of of western Huixin Street, a transfer station between Subway Line 5 and Subway Line 10, turning on cacophonous songs, full of pathetic lyrics. According to the unnamed beggar, if the tinkling coins and small bills he obtained could reach 300 yuan in a round trip, he would complete his work after three rounds in a day. Besides, he monopolized his business en route by beating other beggars out of sight. "I beat other beggars to their knees, making them too scared to come out again," he said recently after being arrested by local police who accused him of violating public order. The police advised passengers not to give money to beggars along the city's highly connected underground lines. A beggar disguised as a crippled man on Subway Line 5 in Beijing has swindled millions to buy two flats in the city.